Based on the Quattroporte Sport GT S, the “Awards Edition” celebrates the countless awards that the Maserati flagship saloon has received since its debut. The Quattroporte Sport GT S “Awards Edition”, the latest jewel in the Maserati range, will make its official debut at the prestigious Geneva Auto Show next week. Six years after its birth, the car that created the luxury sport saloon segment continues to receive accolades from the general public, automobile aficionados and the media. Maserati has decided to celebrate its success with a superlative version, which blends the elegance and sporty stylishness of the brand’s flagship, thanks to the combination of highly refined details, handcrafted finishes and features with a decidedly sporty flair. 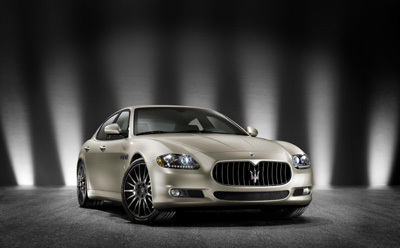 During its six years of life, the Maserati Quattroporte has received no less than 56 awards from the most prestigious automotive and lifestyle publications in 14 countries over four continents. A global recognition for a car that has known how to renew itself over the years, still never failing to maintain the appeal of the lines and purity of the forms created by Pininfarina, which immediately made it an instant classic. the craftsmanship of the hand-finished details which make each car unique. The new Quarzo fuso exterior colour – a pearlescent metallic grey with a golden hue – exclusive to this model, makes the exterior instantly recognisable, and highlights the body’s elegant lines. The burnished treatment used on the exterior chrome parts, as well as on the side air vents and radiator surround, also matches the 20’’ Multi Trident dark grey rims with satin finish. The braking system which uses dual-cast technology, is further enhanced by the hand-polished callipers both at the front and rear. With the Quattroporte Sport GT S “Awards Edition”, Maserati and Brembo are introducing on the market for the first time polished callipers, treated with high precision mechanical processes and featuring a hand finish which gives them their special mirror-like appearance and enhances their sporty credentials at the same time. The interior also bears witness to the combination of sporting flair and craftsmanship that have always characterised the Maserati flagship saloon. The Poltrona Frau leather of the seats is combined with perforated Alcantara with a new undulated pattern, and the headlining is also in Alcantara. Completing the cabin finishes are the special brushed aluminium door sills and Piano Black satin-finish wood mouldings. The boot is finished in black trim and features chrome details and a leather side pocket. The attention to detail has even been extended to the mats, which are made of an even richer and softer material. A special exterior “Awards Edition” series plate completes the car’s look and makes an already unique car even more unmistakable. 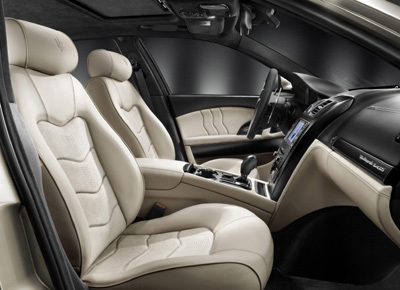 The Quattroporte Sport GT S “Awards Edition” will be available in the UK as a special order in the second half of 2010, as model year 2011. 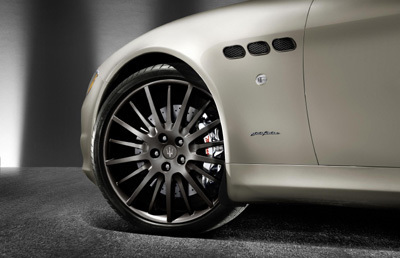 Prices will be available upon application: for further information, visit maserati.com.